Endless possibilities for this piece of land with 69.8 =/- acres. Land for future development(no buildings. 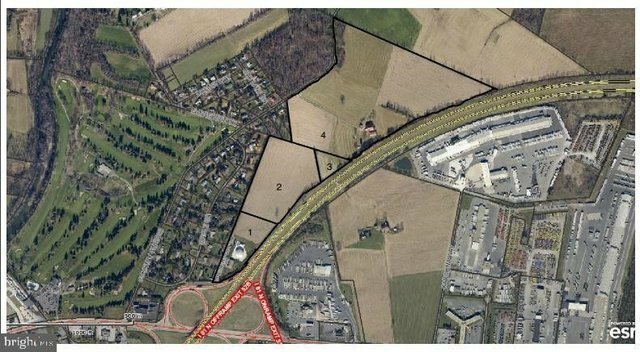 Located along Country Club Rd between Route 81 and the TND development of 503 acres. It is near Harrisburg Pike interchange of Route 81, includes significant frontage/visibility along Route 81. Located next to Township public water plant which then connects to the interchange area via an existing Road plus existing frontage along Country Club Road. The area is experiencing significant growth in industrial uses especially big box users. Located in Cumberland Valley School District. Public utilities are along Country Club Road (available sewer capacity will be dependent on the proposed development. Zoned RF (Rural Farm) and RC (Residential Country), with a UDA overlay (Unified Development Area on the RF zone. Owner has not started with engineering or seurveying. Presently used for farming purposes. Owner wishes to sell and is open to creative approaches to achieve maximum value.